If you crave the adrenalin rush of the ski slopes but you can’t manage a week-long holiday in the mountains, then a quick three or four day jaunt to the Alps could be enough to recharge your batteries without breaking the bank. Before you book though, it’s worth considering a few things to make the most of your short trip, such as: reviewing the distance to the nearest airport; whether it is served by early morning and late evening international flights; and if there are hotels or chalets where you can book just three nights instead of the usual seven. We have listed the best short ski breaks that France has to offer to help you out! With direct TGV services to its station, Chamonix is a classic weekend ski destination. The resort is also just a 60 minute drive away from Geneva airport, which offers an abundance of flights to this key international hub throughout the day. Chamonix not only has enough gentle, pisted slopes to keep beginners and intermediates happy, but it is also home to world-class extreme skiing to build every thrill-seeker’s adrenaline. There is also a plethora of hotels and chalets that are available for short stays. Linked to the 650km of slopes in the heart of the Portes du Soleil, Morzine has more pistes to offer than you’ll ever be able to finish in just one weekend. Picking your accommodation in the centre of the traditional Savoyard village will allow quick access to one of the two main gondolas taking you either to Avoriaz or Les Gets. Just like Chamonix, Morzine is a short transfer away from Geneva airport, making it an ideal and convenient destination. The beautiful village resort of Montgenèvre, situated on the border between France and Italy at an altitude of 1,860m is the only French part of the famous Milky Way ski circuit. It is one of the highest ski resorts in France and therefore perfect for late season with many companies specialising in weekend breaks. 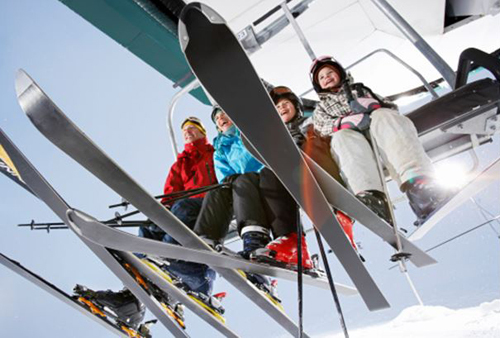 Offering a combination of nursery slopes as well as off-piste excursions for adventurers, there is something for everyone in Montgenèvre. The added bonus is that there is not just one, but four airports within two hours drive from the French resort.